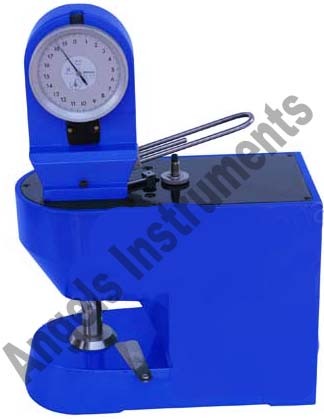 Angels Instruments Manual Thickness Micrometer has a manual hydraulic controlled dial type. The Manual Thickness Micrometer is used for lowering speed of the measuring spindle and is hydraulically controlled. Provided with dial type indicator.The Manual Thickness Micrometer is manufactured using the finest quality raw materials. 0-20 mm with dial indicator resolution .01mm. 0-5 mm with dial indicator resolution .001mm. •High recognition in the domestic market. •Strong focus on the quality compliance of the paper testing equipment. •Headed by qualified team of professional.. Copyright © Angels Instruments ® 2012.